QuoteRobot - Send beautiful proposals, invoices, and contracts. Please enter your email address and password below, and we’ll remind you where your subdomain is, or help you set one up. No problem, simply enter your email address below and we'll help you reset it. We've reset your password and sent you an email. Please check your email. Please choose a subdomain for your account. You will login at this URL from now on. We've upgraded our billing system, so you'll need to update your billing details. Sorry for the hassle! In order to claim the coupon you'll need to add your billing details to your account. No hassle, fast proposals. Win more clients and improve your business. QuoteRobot makes it easy for web professionals to write winning proposals, invoices, and contracts. No credit card required. Unlimited use. Only $19 per month after trial. 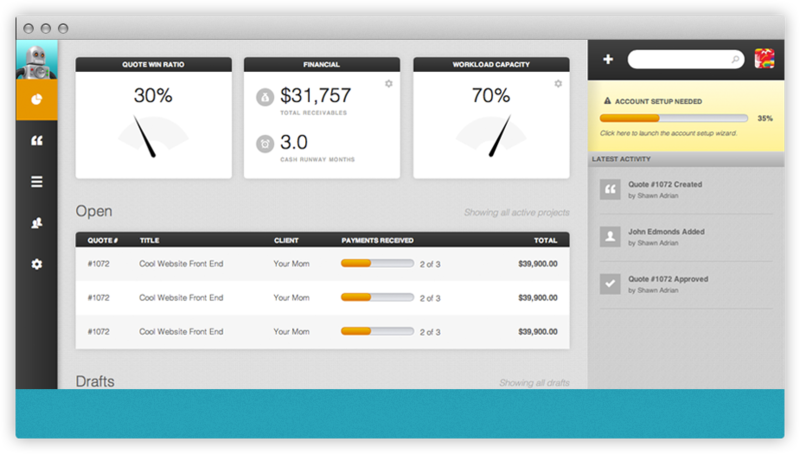 The dashboard gives you a quick look at your outlook, capacity, quotes and invoices. Easy to use proposal software generates professional, winning proposals in moments. It's very simple. QuoteRobot makes us more money. We save a bunch of time and win more projects using QuoteRobot than any other quoting app we've tried. QuoteRobot just wins more projects than creating proposals the old way. I can’t believe I ever made quotes without it. 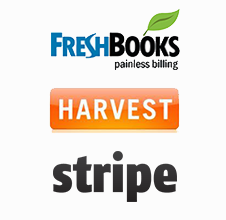 Our professionally designed proposal, invoice, and quote themes help you look your best. Rather than using a word processor, use one of our hand crafted themes or create your own. QuoteRobot mines line item data from your quotes, invoices, and proposals to help you know what to charge for every item, automatically. Start from scratch, or use of our pre-written proposal templates to get your quote out the door more quickly. Save past proposals to use as templates for repeat pitches. Email your potential client a proposal with an optional PDF attachment and they can approve it on your own subdomain with a single click. Easily generate a detailed timeline of your project, complete with payment milestones so your clients know when to pay you to keep things moving. Only $19 per month afterward.